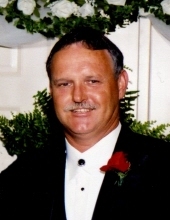 Mr. George Franklin Tyndall, 61, of Wade, died Monday November 26, 2018 at his home. Mr. Tyndall was born December 22, 1956 in Cumberland County to Lessie Register Tyndall and the late George Floyd Tyndall. Mr. Tyndall was preceded in death by his wife, Edna Norris Tyndall; and sisters, Denise Whitley and Tari Faircloth . Mr. Tyndall served in the US Navy and following his military service, worked for many years as an auto mechanic. A funeral service will be held at 2 p.m., Thursday, November 29, 2018, at Skinner & Smith Funeral Home Chapel with Rev. Sammy McLamb officiating. Burial will follow at Mt. Zion Church Cemetery. Mr. Tyndall is survived by his mother, Lessie Register Tyndall of Wade; brother, Clifton Tyndall of Eastover; sister, Yolanda Barefoot and husband Bobby of Wade; fiancé, Mary Imboden of Wade; stepson, Robert Kevin Jackson of Cary; stepdaughter, Sherri Matthews and husband Jerry of Four Oaks; step grandchildren, Robert Maxton Barber, Cale Lewis Matthews, Alexandra Jackson, and Gabby Jackson. Visitation will be held at 1 p.m., Thursday, one hour prior to the funeral service and other times at the home of Bobby and Yolanda Barefoot. Memorials may be made to the family of George Franklin Tyndall. Arrangements by Skinner & Smith Funeral Home in Dunn. To send flowers or a remembrance gift to the family of George Franklin Tyndall, please visit our Tribute Store. "Email Address" would like to share the life celebration of George Franklin Tyndall. Click on the "link" to go to share a favorite memory or leave a condolence message for the family.